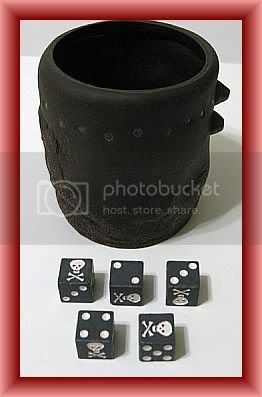 DISNEY PIRATES OF THE CARIBBEAN SKULL CROSSBONES DICE & CUP ! 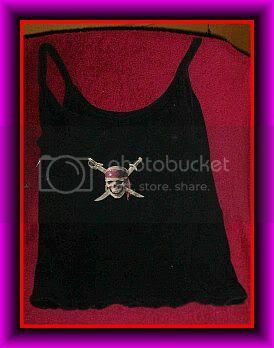 Any purchase of these special JA items totaling $ 30.00 or more and you get the POTC WORLDS END DVD absolutely free ! All Proceeds go directly to Johnnys Angels ! 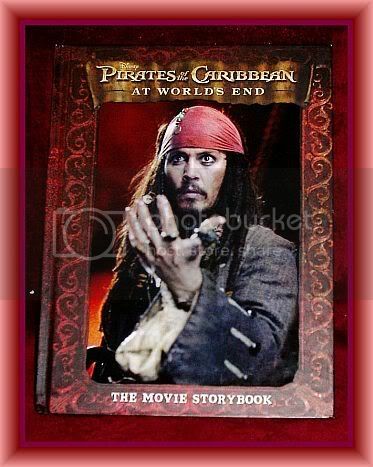 DISNEY PIRATES OF THE CARIBBEAN "AT WORLDS END"
Hardcover Large 11 in. X 8.5 in. Stunning photographs capture the exciting--and perilous--adventures of Captain Jack Sparrow, Will Turner, and Elizabeth Swann on the Seven Seas, in a visual retelling of the third film in the Pirates series starring Johnny Depp. 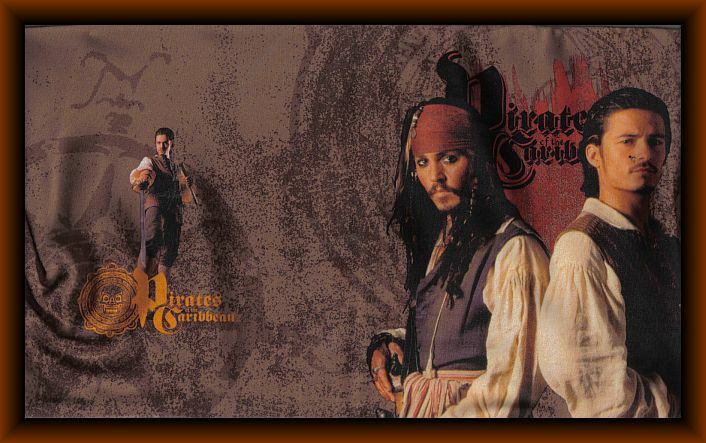 When Lord Beckett has a plan to destroy all of the pirates in the world, Will Turner and a crew led by Jack's arch enemy, Barbossa, must sail to World's End and beyond to find Jack and stop Lord Beckett. 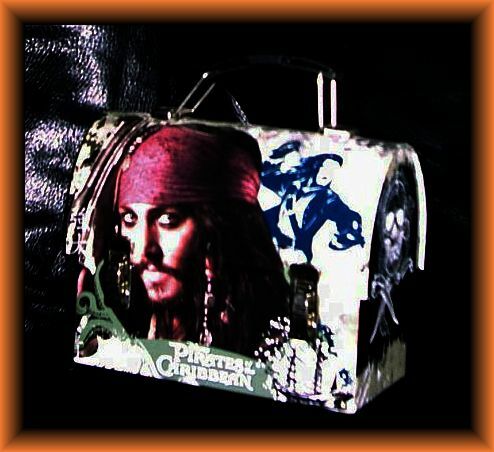 Adorable POTC mini lunchbox ! 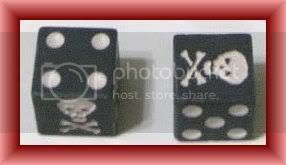 This little ting is so cool ... pretty smal ( (5" long X 4" high) so ya best be onna diet mates ! 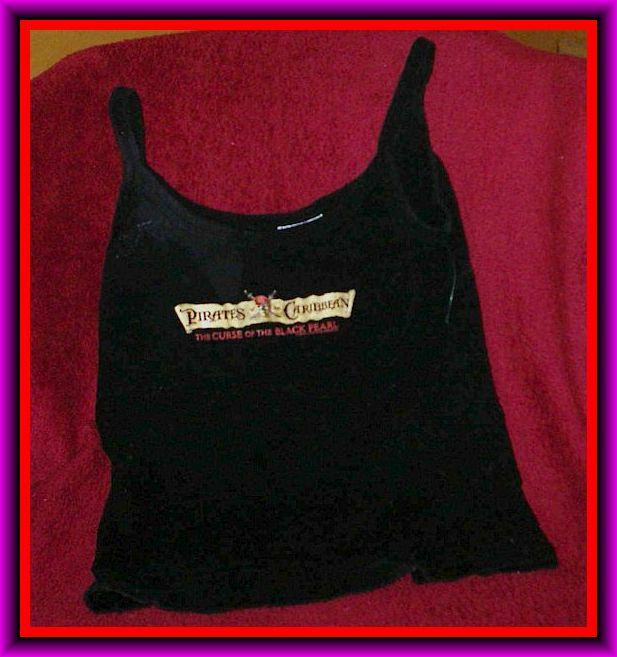 It would make a great keepsake holder for your favorite pirate memories ! This item is also available on my AMAZON account for $ 14.00 (shipping included). Also, here in the OUTPOST STORE you always have the option to make me a Best Offer !